Eating at your desk just became a little less depressing and a lot more sticky. 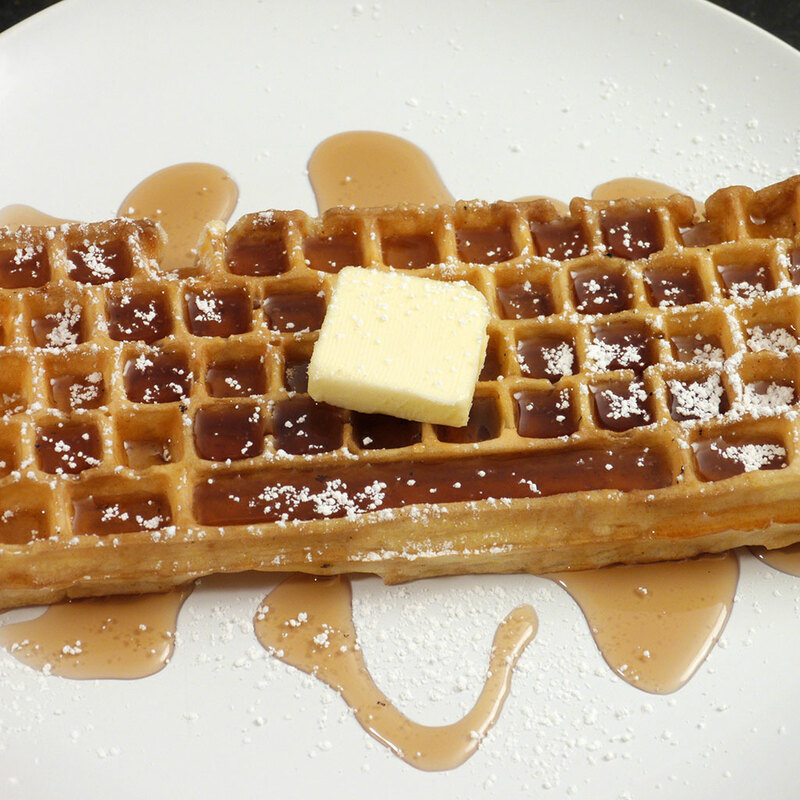 Introducing the waffle iron that makes waffles in the shape of a keyboard. From now until Dec. 25, you have the opportunity to join more than 282 backers (and counting!) who have gotten behind the idea of The Keyboard Waffle Iron: a die-cast aluminum piece of stovetop cookware billed by its designer, Chris Dimino, as “easily the most significant union of technology, design and waffles in the modern age.” God knows I’m racking my brain trying to come up with something that proves that statement wrong — but I just can’t. Getting your hands on one of the irons requires a pledge of $60, with plenty of options to upgrade from there. Unfortunately, the delivery date isn’t slated until April 2015, which I believe is the exact amount of time it takes for you to start wondering, Why did I want a keyboard waffle iron so badly four months ago? Now if only they can figure out how to get maple syrup out of the space bar.